I’ve always liked Almonte. It’s pretty, it has history, a few (repurposed) textile mills and a dandy waterfall. The town was named for a Mexican general, for some peculiar reason, and can boast the birthplace of a basketball inventor. Most importantly, when stacked gastronomically against other Valley towns its size, Almonte punches above its weight. 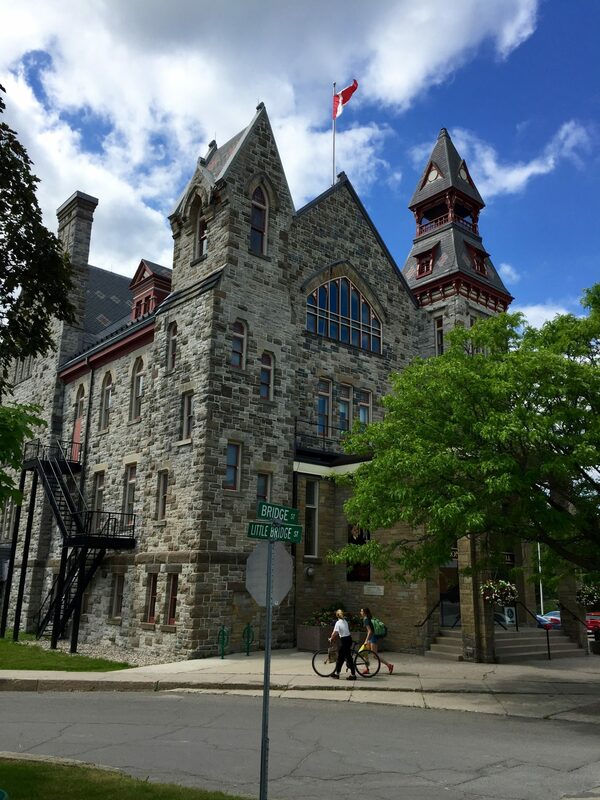 I’m familiar with, and have written about, a few of Almonte’s restaurants and café. I know, too, that the town is homebase for Hummingbird, the husband-and-wife bean-to-bar chocolate company, which was thrust upon the international stage when its Hispaniola 70% bar won a best-in-show at a UK chocolate competition. And I know, too, that Almonte housed the wonderful Equator Coffee, which is approaching 20 years in the business of buying, roasting, and serving coffee — and also giving back. Knowing is not, however, the same as actually visiting these places — something I’ve never done. That changed last Friday, when I took a tasty spin around Almonte with resident Cathy Reside. She started The Good Food Tour this spring. My Friday afternoon tour began with a beer on the edge of town. Nick and Vicki Pruiksma, together with partner Dylan Bouleau, opened Crooked Mile last fall, bringing that UK style to North Almonte. Nick walked us through the brewing process, and we sampled some of the results. I was a fan of the Highland Hillwalker, a smooth drinking dark ale. Then down the road for a tour and a doughnut at Healthy Food Technologies (which has developed and patented a fascinating fryer/oven that yields doughnuts with half the fat of the Timmy-type competitors). 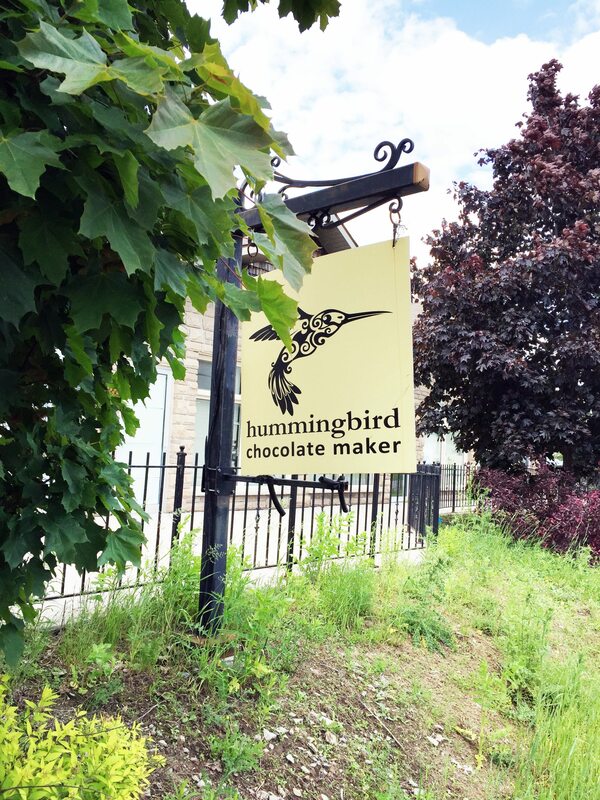 Then on to Hummingbird to learn the story of two international aid workers turned award-winning chocolate makers. Drew and Erica Gilmour began eight years ago making artisan chocolate by hand with fair-trade, high-quality cacao beans from farms in Bolivia, Nicaragua, Guatemala, Haiti, and the Dominican Republic, roasting the beans in an oven once used for rotisserie chicken. Their business began to grow. And then, lo and behold, the tiny company became the first Canadian chocolate (and certainly the first Almonte chocolate) to win top honours at the Academy of Chocolate in London. 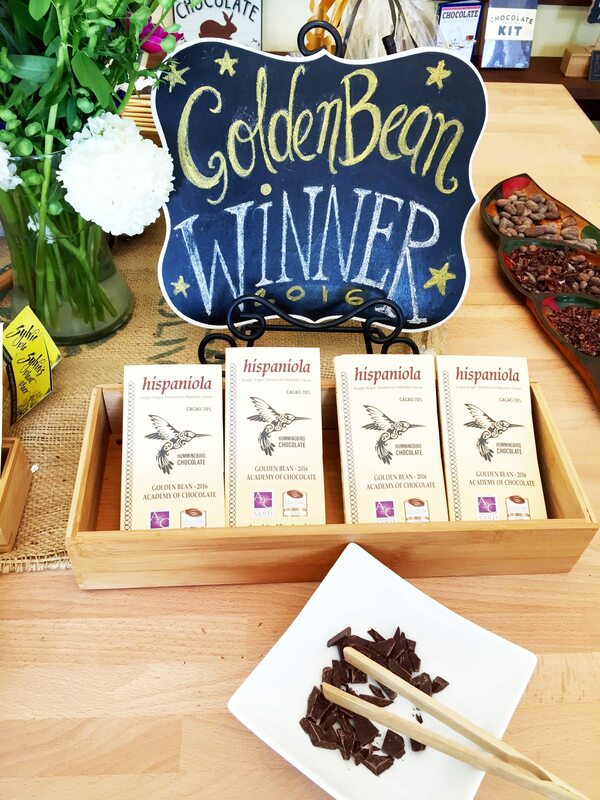 It was their ‘Hispaniola’ bean-to-bar (70%) that was awarded the 2016 Golden Bean, the academy’s top prize, though others of their bars took home ribbons as well. And with that, the Gilmours got super busy, super fast. The day was warm, so they treated our group to iced hot chocolate, along with samples of every bean-to-bar they make, bless them. Next stop, a coffee lesson, roasting tour, and sampling at Equator, and then we left the northern fringes and entered the historic district of Almonte. History and architecture lessons were peppered with more tastings: we stopped at The Mill Street Crepe Company (chef Wendy Barbaro) for a delicious Fulton’s maple syrup braised pulled pork crepe, and the quirky little Pizza-Ria Unlimited where Kerala-born chef Roopesh (Roop) Kakkat and his partner Shinu Unikrishnan churn out gourmet pizza pies and north Indian curries. 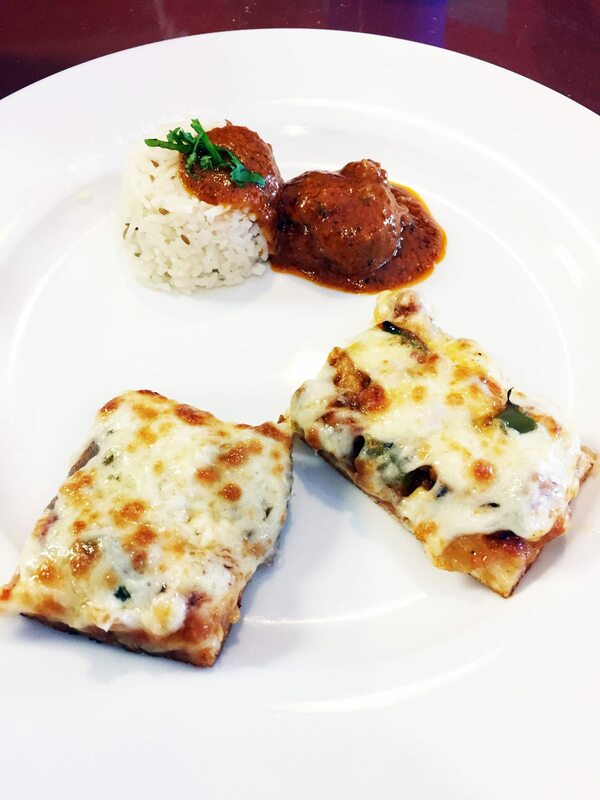 The gents prepared a charming little sample plate, which included their admirably spiced butter chicken with Jeera rice next to the Chicken Bollywood pizza and a Donair pizza. 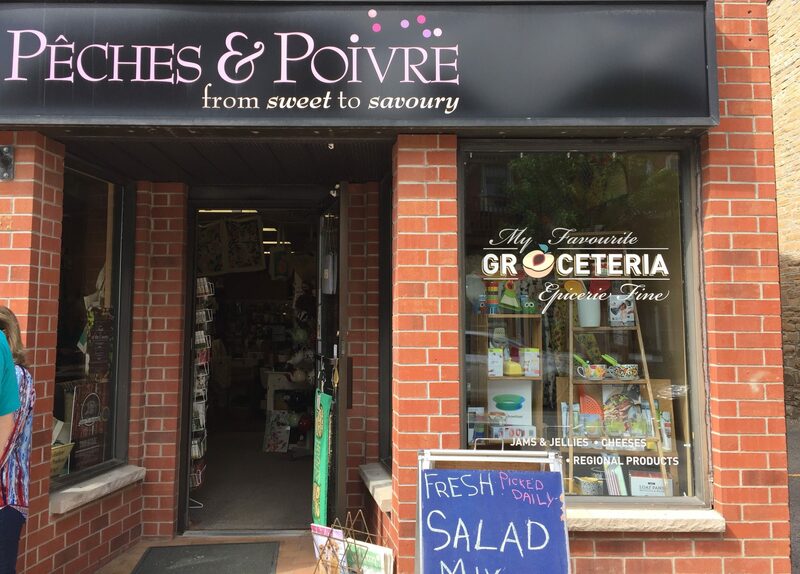 Our final stop was at Pêches et Poivre on Mill Street, a fine food shop that sells all manner of regional products — jams, jellies (we tried the delicious rhubarb chutney from chef Richard Kletnieks of the Heirloom Café just down the street), cheese and charcuterie, and all that goes with those, from fancy crackers to lovely platters. The Friday tour is slightly different from those offered on Saturday and Sunday, so be sure to check the website for details. And if you sign up for the Saturday tour, go early, and spend the morning at the Almonte Farmers’ Market.